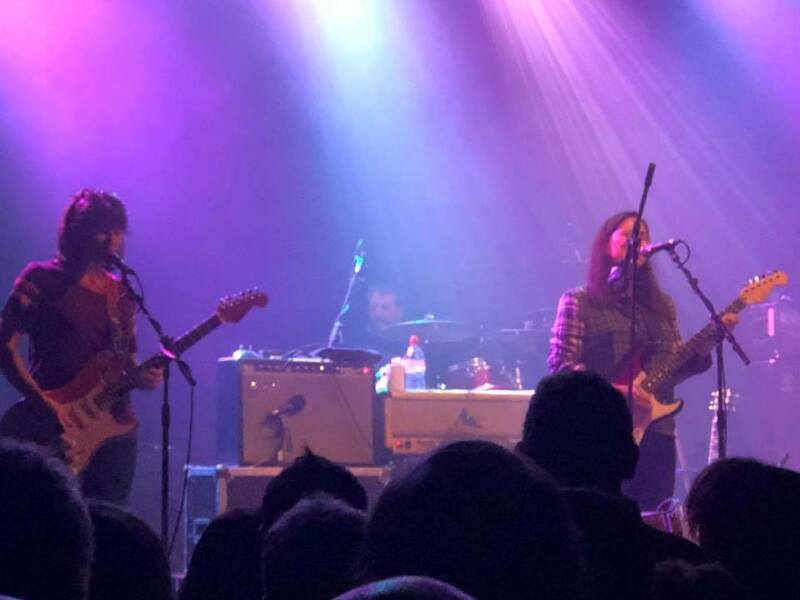 The Breeders are back on the road in support of new single Wait In The Car and a set comprising of tracks from across their four albums, three songs from The Amps' 1995 album Pacer, a Pixies favourite and a number of covers in a lengthy twenty-six song set. 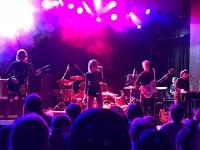 Support came from Manchester's own PINS with a set of mostly new material that hints at a new direction. Two years on from their second album Wild Nights and PINS are roadtesting a forty five minute set of almost all new material on these Breeders support dates and their own November tour. They’re a band that have constantly evolved their sound from their earliest gigs when their stage presence was often uncomfortable to the confident five-piece we have in front of us tonight. Recent single Bad Thing and current one Serve The Rich follow, both with their jagged confrontational teeth bared despite the Academy 2’s often muddy sound threatening to blunt them. That’s never going to happen though as the repetition of a few lines on Serve The Rich, a charcteristic of a number of these new songs, hammers home the song’s rebellious intentions. Later in the set If I Was uses a similar tact to equally pointed effect. Luvu4lyf, an early single, has been revisited and reinvented for the b-side of Serve The Rich, fits in perfectly around the likes of Fun Machine and the aforementioned If I Was. The gang feel that PINS have fostered comes to the fore on Next To You as they congregrate around Sophie’s drums and Kyoto’s keyboards, arm raised in unison and Girls Like Us (“for all the girls”), which, if such things existed, would be their theme tune. They finish with the punishing killer punch of All Hail and leave us safe in the knowledge that PINS are still moving forward, pushing the needle and still very much in the room. 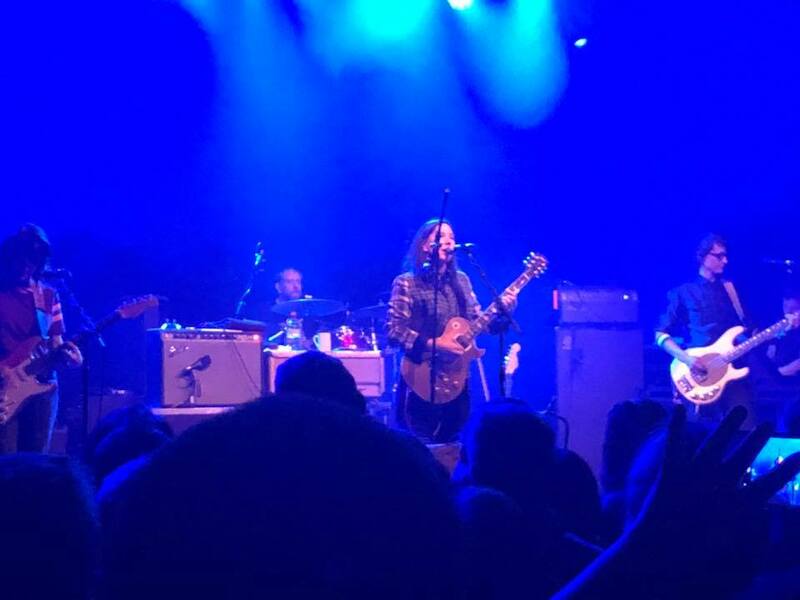 This is The Breeders’ first Manchester show for four years and it feels a little like a hometown gig for guitarist Josephine who’s had a busload of people come over from Sheffield. That homely vibe shines through the whole of the set, this feels like an intimate invitation into their world as they run through a massive twenty six song set that’s utterly devoid of any rock star pretension and full of love. 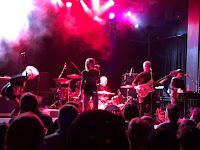 The set spans their four albums to date with an understandably heavy focus on Pod and in particular The Last Splash, with three songs from Kim and Jim’s The Amps project, four covers (The Beatles’ Happiness Is A Warm Gun, Ed’s Redeeming Qualities’ Driver 9, Guided By Voices’ Shocker In Gloomtown and Amon Düül II’s Arch Angels Thunderball), Kim’s solo track Walking With A Killer as well as a rapturously received version of Gigantic from Kim’s former band Pixies. 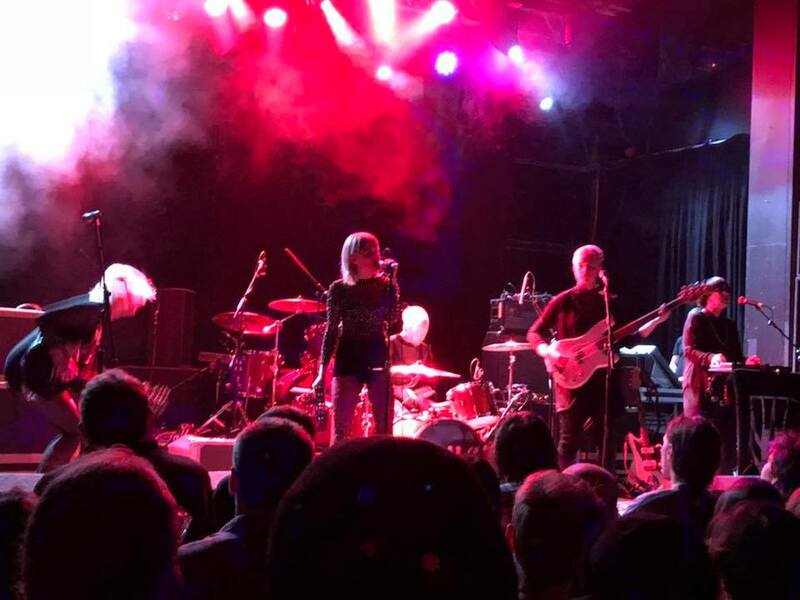 There’s also their new single Wait In The Car, a just over two minute headrush of a song that will delight those that fell in love with Pod nearly thirty years ago. It’s testament to the quality of the songs that they don’t sound dated at all. In fact it’s only Cannonball, after which Kelley starts a discussion on whether she played it in the wrong key, that shows its age. The likes of No Aloha, Iris, Divine Hammer and Do You Love Me Now have that comfort blanket of old favourites but with a spring in their step, driven along by Jim’s powerful driving drums that dictate the tempo and give Kelley, Josephine and Kim the space to weave their spell over an enthralled audience that has fallen for them all over again. There’s a real sense of camaraderie, a sisterly bond between Kelley and Kim in thrown glances and knowing smiles, a playful humour about their merch man Kyle’s terrible Manchester accent and Kelley interpreting a muffled shout from the audience as “oh my god, I love you.” It’s a warmth that transmits itself to the audience, patiently waiting for their personal favourites and shaking gently to the music that made them mosh all those years ago. By the time they reach the glorious, yet typically understated, conclusion of Saints and Iris, we’re reminded that The Breeders might be the band that come in and out of your life whenever the mood might take them, but they’re always most welcome and leave you grinning from ear to ear and very much back in love with them. The Breeders played No Aloha, Invisible Man, SOS, Hag, Wait In The Car, I Am Decided, Tipp City, Night Of Joy, Fortunately Gone, Walking With A Killer, Driving On 9, Pacer, Shocker In Gloomtown, Bang On, Off You, New Year, Cannonball, Happiness Is A Warm Gun, Glorious, Arch Angel Thunderbird, Divine Hammer, I Just Want To Get Along, Do You Love Me Now, Gigantic, Saints and Iris. 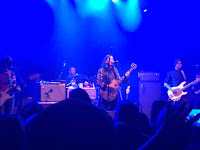 The Breeders' official site can be found here and they are on Facebook and Twitter. The 7" single, limited to 300, is available from the Haus Of Pins store and is released on October 20. The digital single, which is Serve The Rich only, is available now.